Dobrica Savić holds a PhD degree from Middlesex University in London, an MPhil degree in Library and Information Science from Loughborough University, an MA in International Relations from the University of Belgrade, as well as a Graduate Diploma in Public Administration from Concordia University in Montreal, Canada. He has extensive experience in the management and operations of web, library, information and knowledge management, as well as records management and archive services across various United Nations Agencies, including UNV, UNESCO, World Bank, ICAO, and the IAEA. His main interests are creativity, innovation and use of information technology in library and information services. Blane Dessy is a Deputy Associate Librarian at the Library of Congress with a focus on Planning and Project Management in Library Services. He is the former Executive Director of FEDLINK, the Federal Library Information Network and was instrumental in establishing the FedGrey Working Group. 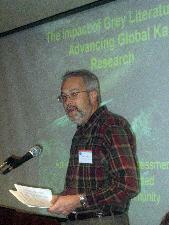 In 2010, Blane delivered the Keynote Address at the 12th International Conference on Grey Literature. He has served on a number of Program Committees for the International Conference Series on Grey Literature and has been instrumental in hosting this conference series at the Library of Congress in 2009, 2011, and 2014. Prior to his appointment at the Library of Congress, Blane had been Director of Libraries at the United States Department of Justice and the first Executive Director of the National Library of Education. Blane came to the Federal Government after working as a State Librarian, Deputy State Librarian, library consultant, and public library director. 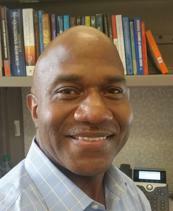 He was also an adjunct instructor in Management at the Catholic University, School of Library and Information Science. Kiyoshi Ikeda works as a librarian at the Central Library of Japan Atomic Energy Agency (JAEA). He also currently works as the chief of International Nuclear Information System (INIS) and Nuclear Information Management Section of JAEA. 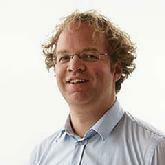 Since 2011, he has been in charge of selection and classification for INIS Database input data. He joined Japan Atomic Energy Research Institute (JAERI, former JAEA) in 2004, and has been working for acquisition of library materials (domestic/foreign books, journals, technical reports and proceedings). From 2007 to 2010, he had been working for editing work at “JAEA Reports” and “JAEA R&D Review” which are grey literature. From 2008 to 2013, he has also been a member of editorial committee of the Japan Special Libraries Association (JSLA). He holds a degree in library and information science (M.A.) from the Graduate School at the University of Library and Information Science in Japan. "Ikeda's work in collecting, organizing, and disseminating data and information on nuclear accidents and in particular the Fukushima Daiichi Nuclear Power Station Accident has earned him the GreyNet Award for Outstanding Achievement in the field of Grey Literature was presented during GreyNet's 11th Annual Award Dinner on December 7, 2014." Marcus Vaska is a librarian with the Knowledge Resource Service (KRS), University of Calgary, Holy Cross Site, providing research and information support at an Alberta Cancer Care research facility. A firm supporter of embedded librarianship, Marcus engages himself in numerous activities, including instruction and research consultation, with research teams at Holy Cross and beyond. Marcus’ current interests focus on collaborative educational techniques aimed at creating greater awareness and bringing grey literature to the forefront in the medical community. Nominations for the GreyNet Award are based on 1.) Results from the GL14 Participant Evaluation Forms, 2.) Publication of the author’s paper in the GL14 Conference Proceedings, 3.) Selection and publication of the author's paper as a journal article, thus exporting and distributing research results originating in the GL-Conference Series, and 4.) Prior history of the author in the field of grey literature. Petra Pejsova graduated in Information science and librarianship at the Charles University in Prague. Currently, she is a manager of the National Repository of Grey Literature in the Czech Republic. Its goal is a systematic collection, long-term archival and provision of access to specialized grey literature, especially dealing with research and development, civil service and education, as well as in the business sphere and "open access" at the national level. Pejsova manages an international working group for development of the Vocabulary of Grey Literature Types and works in the National Technical Library as a head of the Digital National Technical Library, where she leads digitalization projects. Through lectures and publications, Pejsova provides information on grey literature in the Czech Republic. She is the editor of ‘Repositories of Grey Literature’ published in 2010 and an author of the certified methodology for processing, long-term preservation and accessibility of grey literature in the Czech Republic. Since 2008, Petra has authored/co-authored a number of research papers presented and published in the International Conference Series on Grey Literature. Bonnie C. Carroll, President of Information International Associates, Inc. (IIa), supports government and industry in managing information as a strategic resource. She is Secretariat Director of CENDI, the federal scientific and technical information (STI) managers’ group and Consultant to USGS, supporting the development of the National Biological Information Infrastructure and the OSTP Biodiversity Informatics Working Group to promote interagency coordination of national and international biodiversity informatics initiatives. For over 3 decades, she has participated in research and development projects including a major assessment of STI in the U.S. for the National Science Foundation; the development of a topography of STI systems for the Library of Congress; and the development of a system to provide input to the DOE's Energy Science and Technology Database. Carroll has been active in grey literature research and management dating back to the early 1990s. Her most recent contribution to the field of grey literature deals with repurposing data and datasets through data sharing and its further publication. June Crowe is the Senior Researcher and Group Manager, Open Source Research Division at Information International Associates, Inc. (IIa). She received her AMLS from the University of Michigan, Ann Arbor and her M.Ed. in geographic education from the University of Georgia, Athens. She has extensive experience in the management and operations of library services across government, public, academic, and special libraries. At IIa she manages the open source research division which focuses on medical, socio-cultural, science and technology and business research. Her primary interests are open source information in Grey Literature, digital repositories, and open source intelligence tools. Dr. Joachim Sch�pfel is co-recipient of this award based on his contribution to the field of grey literature, and in particular for his corpus of research and publication in information science. Special recognition for his recent publications on grey literature in the Encyclopedia of Library and Information Sciences, Wikipedia, and the monograph published by De Gruyter|Saur in 2010 titled �Grey Literature in Library and Information Studies�. He is further recognized in this award for his program of teaching and instruction on grey literature. 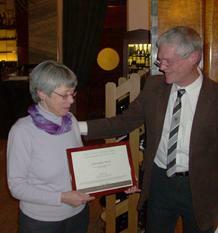 Christiane Stock is co-recipient of this award based on her contribution to the field of grey literature, and in particular for her work related to the OpenSIGLE Repository. Through her efforts hundreds of thousands of bibliographic records were recovered and made openly accessible via internet. Christiane Stock is further responsible for ensuring OAI compliance for GreyNet�s Collection of conference preprints 1993-2010. She is further recognized in this award for her years of research and publication on the topic of grey literature. 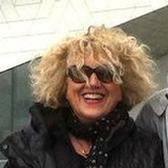 Anne Gentil-Beccot, CERN - European Organization for Nuclear Research is the GreyNet Award Recipient 2008. This award is in recognition for her contribution to the field of grey literature over the past year. Nominations for the GreyNet Award are based on (1) Results from the GL9 Participant Evaluation Forms, (2) Publication of the author�s full-text paper in the GL9 Conference Proceedings, (3) Selection and publication of the author�s conference paper as a journal article, whereby research results originating in the GL-Conference Series are exported and become accessible via other channels, (4) Prior history of the author and her organization on the topic of grey literature, and (5) Willingness to attend the GreyNet Award Dinner in order to personally receive the honor. Todd A. Chavez, Anna H. Perrault, Pete Reehling (University of South Florida), and Courtney Crummett (National Library of Medicine) are the team recipients of the GreyNet Award 2007. This award is in recognition for their contribution to the field of grey literature over the past year. Nominations for the GreyNet Award are based on (1) Results from the GL8 Participant Evaluation Forms, (2) Publication of the author�s full-text paper in the GL8 Conference Proceedings, (3) Selection and publication of the author�s conference paper as a journal article, whereby research results originating in the GL-Conference Series are exported and become accessible via other channels, (4) Prior history of the authors on the topic of grey literature, and (5) Willingness to attend the GreyNet Award Dinner in order to personally receive the honor. Marcus A. 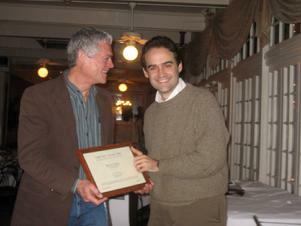 Banks, Library Associate with the New York University School of Medicine is recipient of the GreyNet Award 2006. This award is in recognition for his contribution to the field of grey literature over the past year. Nominations for the GreyNet Award are based on (1) Results from the GL7 Participant Evaluation Forms, (2) Publication of the author�s full-text paper in the GL7 Conference Proceedings, (3) Selection and publication of the author�s conference paper as a journal article, whereby research results originating in the Conference Series are exported and become accessible via other channels, and (4) Prior history of the author on the topic of grey literature. 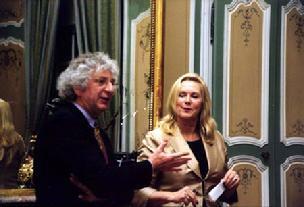 Prof. Keith G Jeffery, CCLRC - Rutherford Appleton Laboratory (United Kingdom) together with Anne Asserson, University of Bergen (Norway) are co-recipients of the GreyNet Award 2005. The award is in recognition for their contribution to the field of grey literature over the past year. Nominations for the GreyNet Award are based on (1) Results from the GL6 Participant Evaluation Forms, (2) Publication of the author(s) paper in the GL6 Conference Proceedings, (3) Selection and publication of the author(s) paper as a journal article, thus exporting and distributing research results originating in the GL Conference Series, (4) Prior history of the author(s) on the topic of grey literature, and (5) Willingness to attend the GreyNet Award Dinner in order to receive the honor. 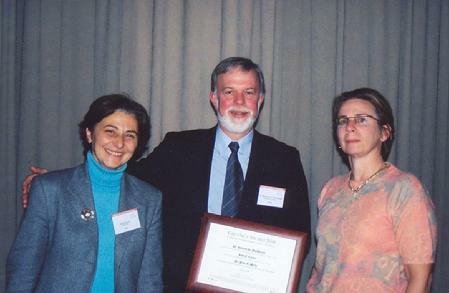 Dr. Bertrum H. MacDonald, Associate Dean of Research in the Faculty of Management at Dalhousie University, Halifax, Canada received the GreyNet Award 2004. 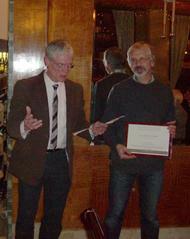 MacDonald accepted this award both on his behalf and that of two co-authors, Ruth E. Cordes and Peter G. Wells. The award is in recognition for their contribution to the field of grey literature over the past year. 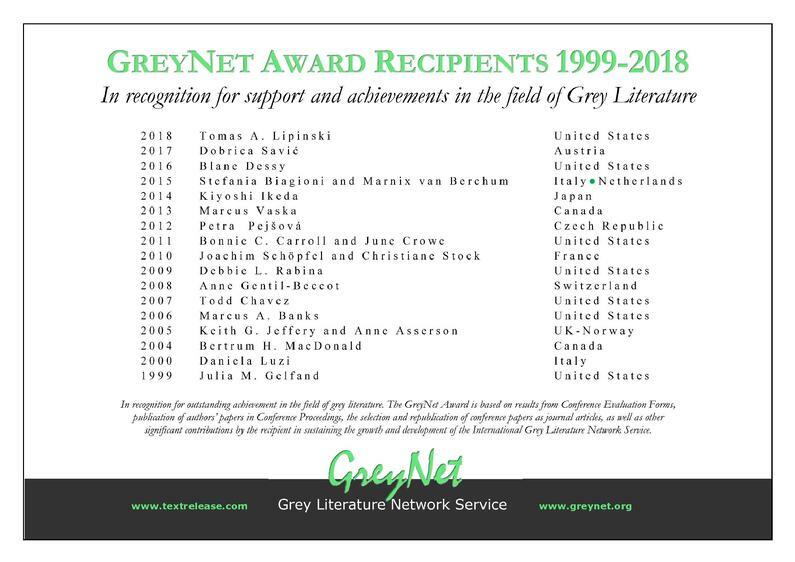 Nominations for the GreyNet Award are based on (1) Results from the GL5 Participant Evaluation Forms, (2) Publication of the author(s) paper in the GL5 Conference Proceedings, (3) Selection and publication of the author(s) paper in the special issue of PRQ'2004 on grey literature, (4) Prior history of the author(s) on the topic of grey literature, and (5) Willingness to attend the GreyNet Award Dinner in order to receive the honor. The GreyNet Award Dinner was held on the evening of December 6th 2004 immediately following the GL6 Inaugural Reception. Personal invitations were extended to the Conference Host, Sponsors, Program Committee, and to GreyNet Members.